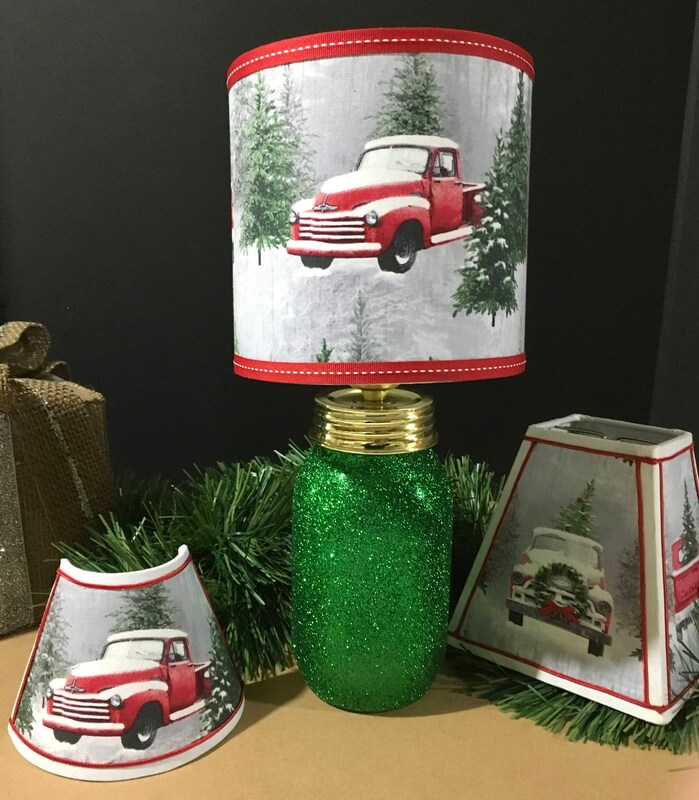 Who doesn't love Vintage Red Trucks?? 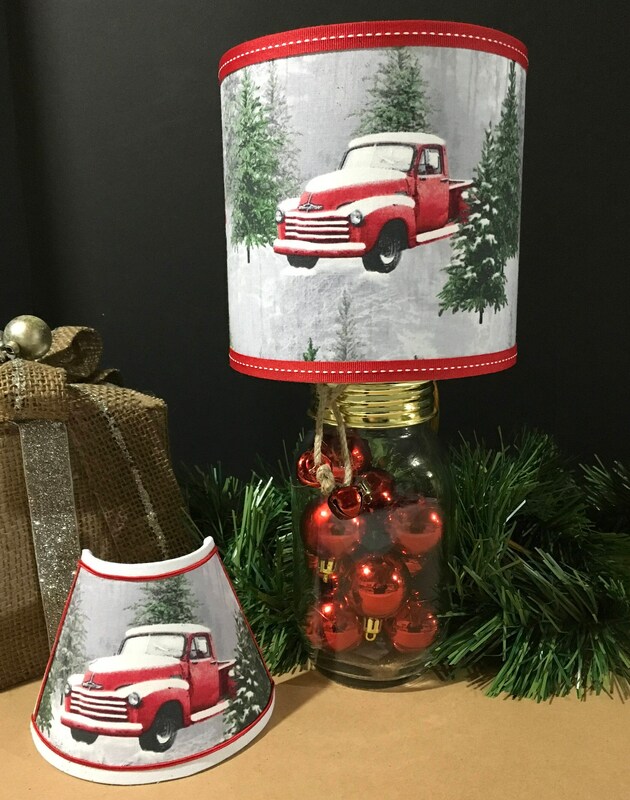 This is a great gift for "kids" young and old... or add it to your own décor at home or work! 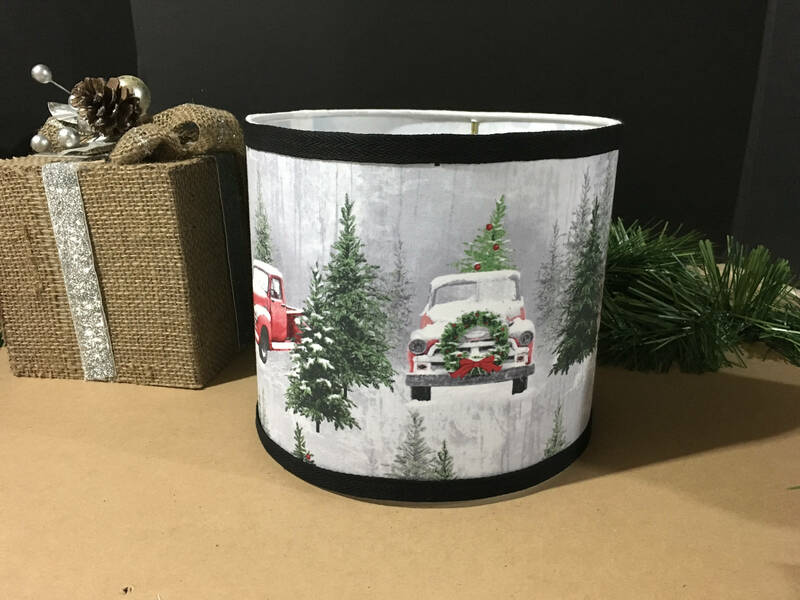 At 13 1/2" tall it has a wide variety of uses - kitchen counter, nightstand, entry table, desk, bathroom vanity, window, end table, table, hallway... almost anywhere! 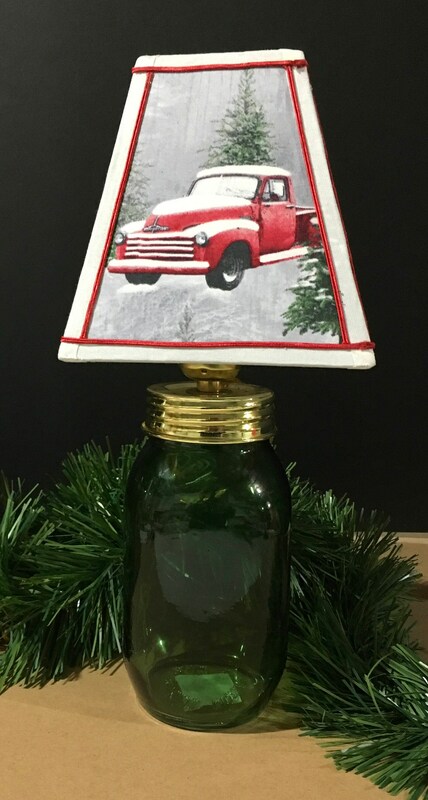 This listing is for our mason jar style lamp with antique pickup lampshade in our Red Vintage Truck fabric - the base is 7" tall and the lamp with shade is 13.5" tall. Supply is limited to the jars we have in stock. We currently have a wide variety of colors - (clear pink, clear red, clear blue, clear green, glitter green, frosted blue, frosted lime green, clear top portion of jar with pink base, clear top with aqua frosted base - just convo me after you place your order and I will reserve the glass mason jar in the color your choose. The lamp comes with a square or round shaped shade - add a note telling me which shade your prefer. You can leave the jar empty or fill it with whatever you like... as long as it is not liquid. Tiny cars, toys, legos, candy, crayons...most anything small would all work. (The items shown inside the jar are not included). I am also selling the shades separately in a variety of sizes - until the bolt of fabric I have is all used. 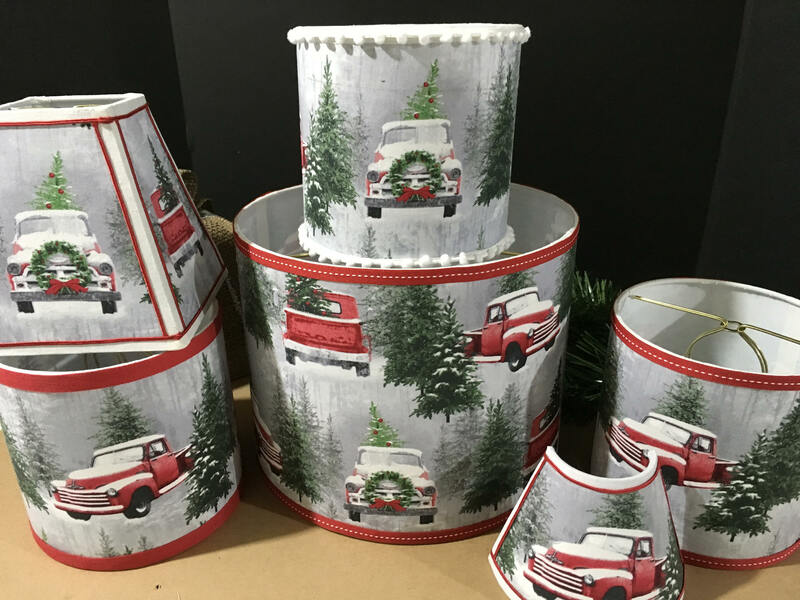 Please check out these shades as well as our other holiday fabrics - Frosty the Snowman, Grinch, Christmas Phrases, Red and Black Holiday Checkered.. and "year round" fabrics - firefighter, law enforcement police, cats, dogs, navy lobster, red lobster, navy oars, and white with navy starfish - plus we also make lampshades using actual nautical charts!! Matching night lights too! Orders are normally ready to ship in 2 weeks or less. I know the holidays are around the corner... so if you need it sooner be sure to convo me!